A beautiful quality cotton fabric with a simple repeat star print design that is available in lots of beautiful positive and negative colours. 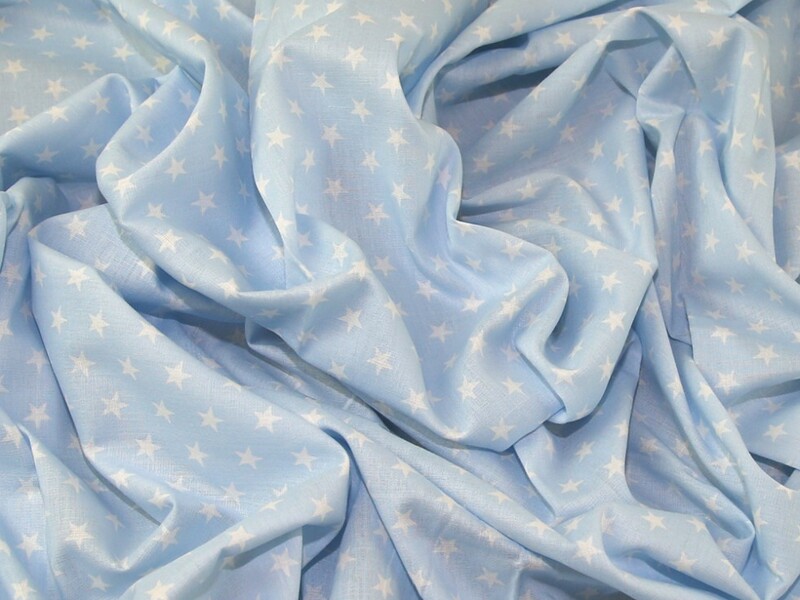 This fabric is soft, easy to sew and presses like a dream. The stars measure approx 10mm at the extremes. Ideal for making your own tops, blouses, shirts, shorts, skirts, dresses and more!